Owning a horse can mean enjoying the start of some really magical adventures! But there’s no getting around the fact that they can be expensive. From initial purchase to upkeep and maintenance, training and equipment, they’re certainly an investment! There can be so many opinions that it can be hard to work out what’s actually necessary and what’s not. 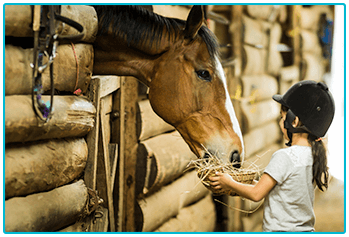 Here at The Insurance Emporium, we’re committed to making your life as easy as possible, so we’ve put together a handy guide to the cost of caring for your horse! You may be in the fortunate position that you have the space and resources to keep your horse at home. If not, you’ll need to find the costs of renting a field, or paying for livery. There are a number of types of livery, from full to working, so you can look at the options and see what’s best for you and your horse. Working livery might reduce the cost, but could mean more restricted access to your animal. Probably the most important consideration after shelter, feed is a cost which will vary depending on your horse and personal circumstances. A pony living mainly outside and a working competition horse might require quite different diets. No matter what kind of horse you have, however, their diet will most likely need careful planning and control to ensure they get the best nutrition. Straw is the cheapest option for bedding, but some horses may eat it (apparently it’s delicious as well as cosy!) and it can cause coughing in equines already prone to respiratory issues. Rubber bedding combined with shavings may be a more expensive initial investment, but could save money down the line. Horses may also need hay or haylage; those who are turned out might need it to supplement feeding in the winter, whilst stabled horses could require extra hay all year round. In addition to basic feed and care, horses have a number of additional needs to take into consideration. Whether shod or not, a horse should be seen by a farrier every 6 weeks; their hooves grow continually and will need regular trimming. In addition, horses require annual visits from the dentist, as well as regular worming. These are all crucial elements of care to help keep your horse in tiptop shape. There’s no need to buy all the latest gadgets for your horse, but there are a number of basics which you may need on your equine adventures. Good quality tack is important; it may be more expensive initially, but if cared for and maintained correctly, will last for years to come. 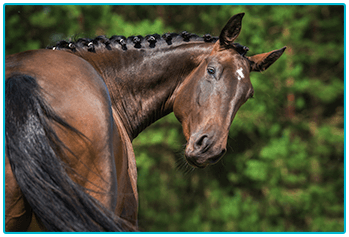 In addition, you might need to budget for unexpected extras such as shampoo, rugs, basic first aid kits, head collars and so on; all important elements of horse care. This could be your biggest expense after the initial purchase, and might be helpful to include in your budget. A suitable insurance policy might really help to ensure your peace of mind. 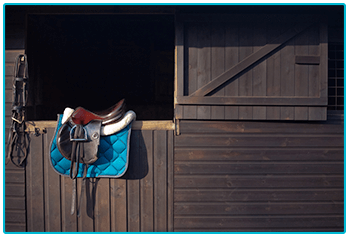 The Insurance Emporium offer flexible horse insurance, with Elective Benefits to choose from, so you can find cover that’s might suit for your horse and budget. You could even get up to 30% discount* on new Horse Insurance policies! * The 30% discount is made up of 20% Introductory Discount plus 10% Multi-horse Discount (if appropriate). The Introductory Discount is available for the first 12 premiums on lunar and calendar monthly policies or one premium payment on annual policies.